Woodbridge Virginia Mortgage Information on VA, FHA, USDA, and Zero Down Loans for Buyers: How you could gain $39,000 vs. spending $120,000 in the next 5 years! How you could gain $39,000 vs. spending $120,000 in the next 5 years! You have heard it all - now is the time to buy, rates are low, the cost of waiting, etc. The biggest reason I agree with buying now versus later is simply because you are ready to buy a home! Over the next five years a renter paying $2,000 per month will have paid $120,000 towards housing assuming the landlord DOES NOT raise the rent. That same $2,000 if used to pay a mortgage of $300,000 can gain or save you $39,509 even with the cost of maintenance, taxes, and cost to sell. The numbers assume a modest 2% appreciation rate over five years and does not take include your tax savings, which is an added bonus of owning the home you live in. Yeah, but Markita what if the home does not appreciate? This could happen but since you will be paying down the mortgage every month, even a break even scenario where you are able to save on your biggest cost in America-TAXES- is still a huge WIN versus renting. Seven years ago we went through the worst housing collapse in history, but those who were not afraid to buy a home during and shortly after this time have benefited tremendously, with double digit equity appreciation. Yeah but, Markita I don't have money for a down payment...that's okay we may have a solution for that too, the Gold Star Grant Program allows qualified buyers to receive up to five percent of the loan amount to pay for down payment and closing costs when using an FHA Loan. And unlike the state program the funds do not have to be paid back. And you do not have to be a first time buyer to access these funds. Here is an illustration of the numbers with your own cash for down payment versus using a grant for down payment . This chart assumes a FHA Loan on Sales price of $300,000 which equates to roughly the $2,000 per month in rent we mentioned above. Stop renting and do like the rich.... buy low and sell high while leveraging others people money. You work hard for your money, so now let your money work hard for you by investing in homeownership. Schedule a time to chat with me at www.meetme.so/MarkitaWoods or email mwoods@goldstsarfnancial.com subject Ready to Buy and let's put together your specific scenario. Excellent post Markita and so timely. I just met someone who I referred to you yesterday who is renting for $2100.00 a month. They are paying a mortgage just not theirs. Home owners also get savings on other things like auto insurance. And interest rates are at the bottom. 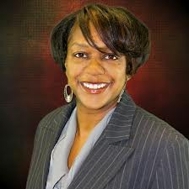 Hey D.C., GO SEE Markita Woods NMLS#196099 NOW !